The partners of the project SPAcE (Supporting Policy and Action for Active Environments) have been assessing the health benefits of walking and cycling across European cities and towns as part of a specialised training on the use of the World Health Organization tool HEAT (Health Economic Assessment Tool), to support the sustainability of the SPAcE action plans for the promotion of urban active environments. 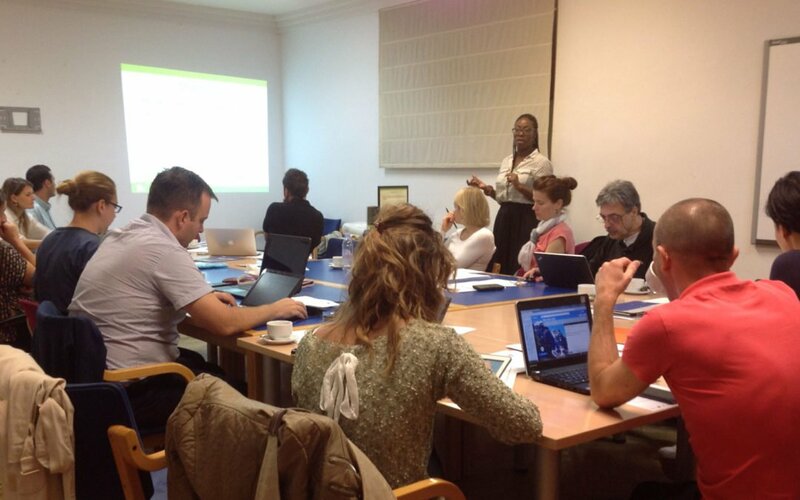 The partnership which is comprised of 10 partners from across 8 EU countries and includes regional governments, Higher Education institutions, non-profit government funded organisation and an NGO, met together in Toledo, Spain on 19th – 20th October for the fourth face-to-face partnership meeting hosted by the Castilla La Mancha Regional Government of Education. Project partners are currently implementing Urban Active Environment Action Plans (UActivE’s) to promote physical activity-friendly environments in five EU cities and towns in Greece, Italy, Latvia, Romania and Spain. These plans focus on developing different active transport programmes (i.e. walking to school, cycle paths, cycle to work schemes etc.). The meeting provided the opportunity to review the plans development offering advice on next steps and how to ensure their relevance and sustainability within current and future policy. As part of this work, training on the HEAT tool was delivered by partner University of Oxford using specific traffic data on walking and cycling collected by the partners. HEAT is designed to help conduct an economic assessment of the health benefits of walking or cycling by estimating the value of reduced mortality that results from specified amounts of walking or cycling. The tool can be used in a number of different situations, for example, when planning a new piece of cycling or walking infrastructure HEAT attaches a value to the estimated level of cycling or walking when the new infrastructure is in place. This can be compared to the costs of implementing different interventions to produce a benefit–cost ratio (and help to make the case for investment). The next stage of the project will see the finalisation of the Action Plans and the collection of further traffic data across the five sites that will be assessed using the HEAT tool and integrated into the Plans to support their goals and potential for sustainability. Partners of SPAcE include: University of Gloucestershire (UK – Coordinator), University of Oxford (UK), University of Thessaly (Greece), University of Zurich (Switzerland), LIKES Foundation for Sport and Health Science, Fit for Life Program (Finland), Castilla La Mancha Regional Government of Education (Spain), Tukums Municipality (Latvia), Brasov Metropolitan Agency for Sustainable Development (Romania) and the Municipality of Trikala (Greece). The next partnership meeting will be held in May 2017 in Trikala, Greece, hosted by the Municipality of Trikala. 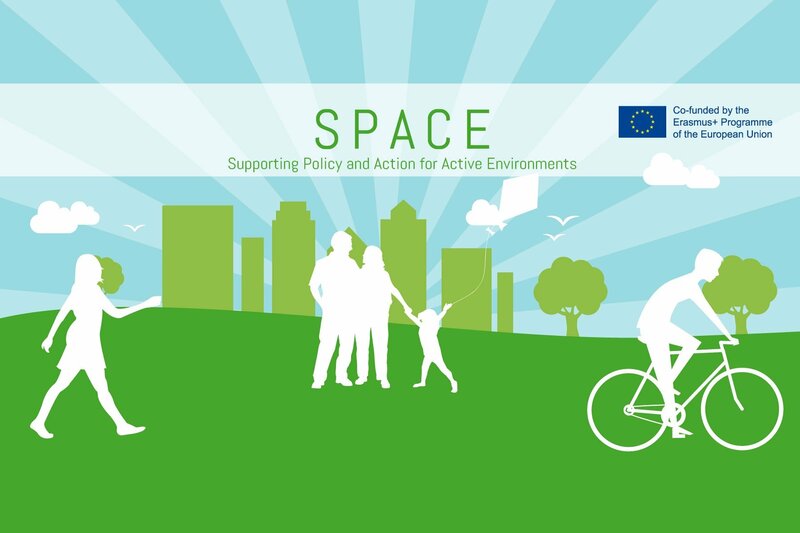 More information about the SPAcE project can be found at: www.activeenvironments.eu or contact: rosina.ndukwe@cesie.org.